½ cup green onions, finely chopped toasted sesame seeds, beansprouts, kimchi. Ingredients: Wheat Flour, Bleaching Agent (Benzoyl Peroxide), Vitamins, Minerals. 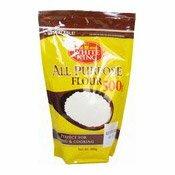 Simply enter your details below and we will send you an e-mail when “All Purpose Flour (麵粉)” is back in stock!